OK... I'll tell you right now I am a big tom boy when it comes to monster trucks and I have no idea why I really do love them so much. Actually, I think it was because of my younger brother when were together he would always want to watch or play monster trucks and I would easily do so over the barbie dolls. I recall Mum taking us to see monster trucks when they had it at The Royal Melbourne Show and then they stopped appearing there and that was a sad time. BUT... 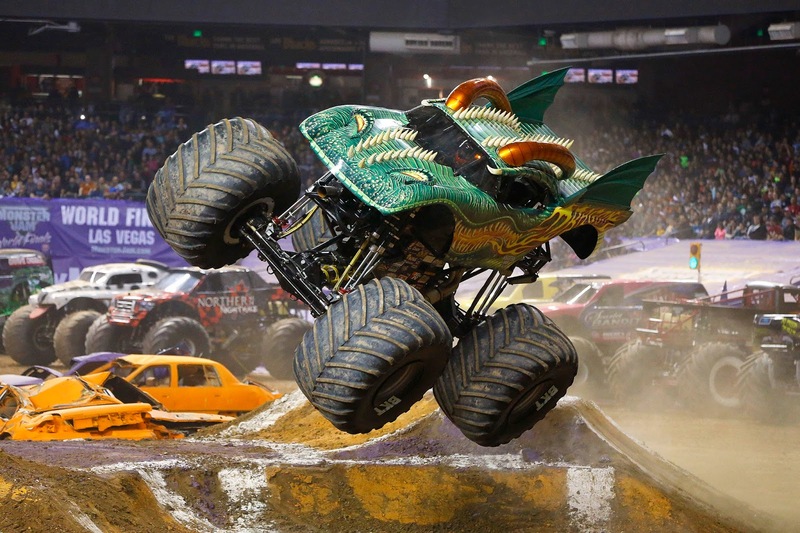 Prepare yourselves as Monster Jam is coming back to Australian soil where they will be doing donuts and racing around making your jaw drop or holding your breathe for their stunts. Last year when Monster Jam was here in Melbourne I sadly wasn't able to attend as I was away, but this year I'm sticking around for it and have it locked in the diary already. However, I did get to hear them on my trip up to Sydney which I was staying around the road from them and could hear them as well as see them on display in their party. The sounds of them excites me. The show will feature four competitions in which the Monster Jam drivers will be competing for as well which will see them go head to head by stunts. 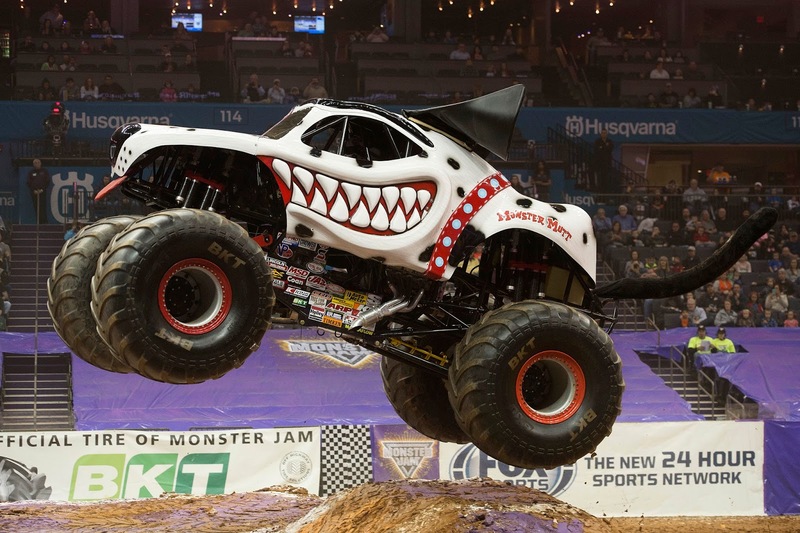 The 2016 lineup will see a number of fan favorite Monster Jam trucks including; Grave Digger, Monster Mutt Dalmatian and Max-D. They'll also be bringing their newbie friends around with them; Alien Invasion, Pirates Curse and El Toro Loco. These Monster Jam trucks are custom-designed machines that weigh over 5,500kgs each- that's the weight of leg pressing 80kgs for 15 reps by about 4.5 sets IN ONE! 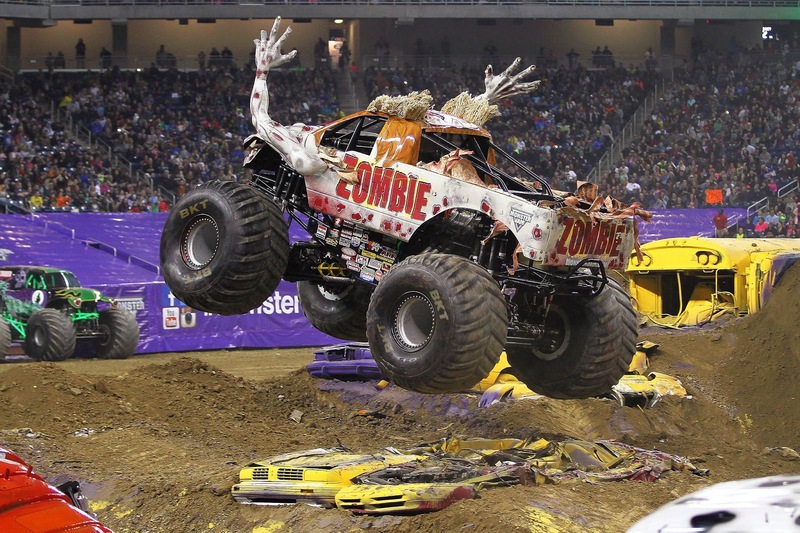 The acceleration of the Monster Jam trucks can go from 0-100kph in under 3 seconds. They fly through the air covering up to 50m in a single leap (14 cars wide distance) and up to 12m skywards. Monster Jam saw three out of the four states sell out, now this year they will stopping by in Adelaide, which will see a fifth state added to the tour. Tickets are very affordably priced with prices starting from $28 (other fees may apply). Get in early though as 170,000 tickets were sold nationwide last year and three of the four shows sold out. Party in the Pits anyone? You or your little one's can get up close and personal with the Monster Jam trucks as well as meeting the superstar drivers. Each city will be hosting one of these parties. We have been very fortunate to have some giveaway tickets on hand for TWO lucky prize packs (valued at $358 each) for families or groups of friends (4 tickets per pack) to see the show on October 8th in Melbourne at 7pm. 4x Pit Passes are valued at $60 (pre-show experience) ** Pit Passes valid for pre-experience of 2pm show. Monster Jam merchandise bag consists of: MJ yearbook, MJ ear muffs and a truck. Want a chance to win these tickets? 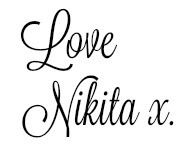 All you have to do is enter via the gleam form below. Giveaway ends: Monday 11th July at midnight. Winners will be drawn: Tuesday 12th July, 2016. Winners will be contacted via email and will have 24hrs to contact back otherwise redraw will occur. Disclosure: This post is has been made in collaboration with Monster Jam media agency. I will be receiving tickets myself to a show as media in exchange for its promotion here. I received no payment for this review and all opinions expressed in this post are entirely my own. ** Updated information regarding pit passes 27-6-16 as per information coming to attention via media agency. Monster Jam, yes please.Family will be over the moon. Motors roaring, crowd roaring! My growing son (nearly taller than me!) would love every minute of the Monster Trucks and I'd win Mum of the year award for taking him!! Monster Jam trucks and a party in the pits, we'd love to win this, I'd have to admit! Monster trucks are so entertaining for young and old! Seeing a Monster Trucks show makes a great family evening out and a very special Birthday pressie for my son who's Birthday is on the 8th! These guys are crazy, fun, exciting and absolutely amazing. This will be a show not to be missed. Now to win some tix for my eldest daughter (an apprentice mechanic) and her boyfriend (another apprentice mechanic) and of course me!. Renata Marchionna. Monster Jam, yes please. I will take my daughter and husband. I have three boys that love trucks, big, small and MONSTER!! This would be great to go to with my 3 boys. I have a gorgeous 'Bucket List' book that I write things I want to do one day in. My 8yr old son and I were watching Monster Jam on TV one day and he ran to get my book and a pen, and said "I think we need to put this in THE BOOK." We are hoping to travel across the way from Tassie to mark one very fun thing off our list. Oh god I would love to see this! I love Monster Trucks and so do my kids! I didn't realise tickets were so affordable. Not sure who would enjoy this more, my boys or me!! Would absolutely love to take my Boys to this! Oh teenage son would love love love to see monster trucks. My husband and 2 kids would absolutely love to see the Monster Trucks live! We love playing with our toy Monster Trucks and watching them on TV. Grave Digger, Monster Mutt and Max-D are our favourites. Seeing them all racing and doing donuts and wheelies right in front of us would be just awesome! please gift us some tickets NJTBlogger, be a gun! My old son is gagging to go. I feel as if this may be the last year to take him before he gets too cool to hang with mum! they'd love to see the show! they don't know quiet and slow. It would be a family occasion, with my partner and our 4 year old son Jaxon and our daughter Evie. Jaxon would love it!! Im not sure who is more excited my kids, hubby or me!!! Yes please to monster trucks!!! Thanks for this great opportunity - I think anyone of any age would enjoy this! My son would love this (and so would my husband!). A magnificent prize! Would love to take my son and husband, what an amazing adventure. Who says its only for boys, I would love to go but I'll still love to take my to sons and hubby.